We get it. When you’re a new mother, your top concern is your baby. Sometimes, however, this means neglecting the most important person…you! 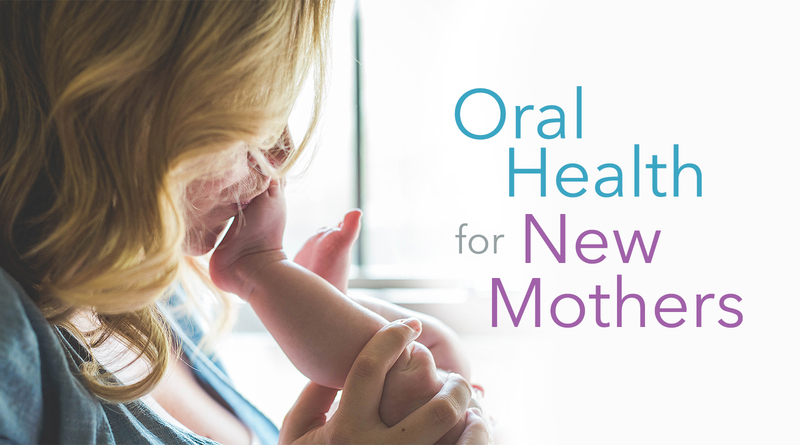 Here are some surprising ways your oral health can suffer during those crucial first few months of your baby’s life, and what to do if you encounter them. Saliva is one of the most important (yet overlooked) components of a healthy mouth. If you’re a new mother, you may be so busy that you’re forgetting to stay hydrated. This is majorly important especially if you’re breastfeeding, because that’s even more hydration you’re losing and giving to baby. Keep a water bottle by you at all times, and drink even when you aren’t thirsty to keep your smile healthy. As wonderful as it is, the stress of having a new baby in the house can sometimes get to new moms. Bruxism, or teeth grinding, is a common result of stress, and can wreak havoc on your smile. If you’re waking up in the morning feeling pain or tightness in your jaw, talk to your dentist about mouth guards to wear while you sleep. When you’re a busy mom, the easiest things to forget are often the most basic. Maintaining your normal brushing and flossing routines may seem inconsequential, but missing them can cause serious oral health issues including gum disease, cavities, and in serious cases, oral cancers. Make sure you’re taking time to take care of yourself as well as baby, and contact your dentist with any oral health problems you find yourself facing. We’re here to help!